Dental pain can happen when you least expect it and in many cases, you may end up needing emergency dental assistance. Many different dental problems can occur, including breaking a tooth, losing a filling, developing a toothache, or even a tooth abscess. Accidents can even occur, causing injury to your teeth, jaw, or gums. The important thing to remember is that an injury to your gums or teeth should never be ignored. These injuries can lead to the damage of blood vessels or nerves. You are also at risk for developing an infection, which can easily spread if it is not treated as quickly as possible. The good news is that we can help you with the emergency dental assistance you need when an injury or other problem occurs. When emergency dental assistance is needed, we now have many great options to help deal with these emergencies. New methods of restoring teeth and managing dental pain are available, making it easier than ever to get the dental care that you need when you have an emergency. 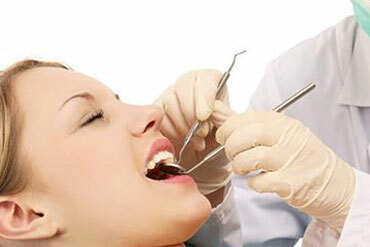 Our dentists can easily identify the problem and help alleviate the pain that you are dealing with quickly. You may be wondering when you should give us a call. If you are not sure if you need emergency dental care, it is best to give us a call anyway. Consider it an emergency if it hurts and call or visit the office for the treatment that you need. Even injuries that seem to be small can end up having a big impact on the living tissue that is on the inside of your teeth. You are more likely to save damaged or injured teeth if you get the treatment you need as fast as possible. Do not make the mistake of waiting too long to have your dental pain treated. Waiting will only end up hurting your dental health. We can offer you the emergency dental assistance you need so make sure you call or visit as soon as possible and we will provide you the assistance you need to deal with your current dental emergency. « Dental Pain – Visit Your Local Blackburn Dental Clinic Today!